No Boat? No Problem! Just Go Sailing! Easy to meet new sailors! You have completed your sailing lessons on a dinghy or keelboat and wish to continue sailing but you’re not ready to buy your own boat. 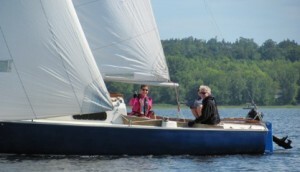 Perhaps you just want to have fun sailing and don’t care about owning your own boat. Advantage Boating’s Sail Share Program (SSP) can be the next step for you to continue enjoying the sailing lifestyle. Have fun on-the-water and further develop your new skills with other enthusiastic sailors by joining the Sail Share Program today! More Fun – More Sailing!